The brand is almost everything to the business. It signifies everything the business stands for and what it offers. Moreover, it is also what the consumer remembers first about your business. Hence, it is just but right to say that it is always about the brand when doing business. The brand speaks for itself so you want to ensure that your brand conveys the right message to the people and you actually deliver the results you promised. In a world that has become so crowded, making a name for your business can make or break your business. 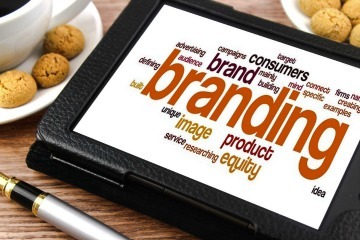 You can only say that branding is successful when your brand becomes a household name. It simply means that all your marketing efforts paid off and people now think of your brand first instead of the competitor brand. Everyone understands the power of branding. Branding equals recognition. And recognition engenders trust. But how do you develop a brand message that wins out in the marketplace? It’s not easy. Great branding is not something that simply happens to a company. How a business talks about itself requires a huge amount of internal control and focus, particularly when you are dealing with not one brand but two. Most successful businesses are known brands globally. And while their brands are already established for years, they still persist with their marketing efforts so that people don’t forget them. There is more competition to overcome these days and you can never be lax or risk losing relevance in a globally competitive market. “Branding is 75 percent visual and 25 percent voice or action,” says Ken. Be sure to understand your audience, and make sure your imagery and taglines creatively connect with your current and prospective customers. Constantly review the voice and visual impact of every brand interaction, from your social channels to the language and colors in your call-to-action buttons. The better the art, the photography, the concept, the illustration style, the stronger the branding impact. The statistics bear it out. Consumers habitually go back to the companies that invest most in their branding. Even organizations that are well-known for taking an idiosyncratic approach to their brand image – think of GEICO’s shifting cast of oddball characters – carefully choreograph their apparently random moves. The reality remains that branding is difficult to do well. Making something look simple is hard. The disarming straightforwardness of Apple’s approach design is the function of sustained internal rigor. It takes strong will and focus. Other times, you need to innovate and adapt to the changes in the market even if your branding effort has been working for years. Technology is advancing and it has a big impact on how businesses do their business today. Digital advertising is the name of the game. Does the process of digitization call the entire brand concept into question? Digitization changes the way in which consumers perceive and experience brands. In the past, brands engaged in rather one-sided communication with customers: brand presents information, consumer absorbs it. These days, communication goes both ways, engaging the brand, its consumers, and other consumers. This means that product performance, service, and price have become completely transparent. Consumers are more savvy and can no longer be fooled. So brands must demonstrate a thorough level of consistency and authenticity, as well as use all media channels to communicate their values. How can brands develop a stringent, cross-media level of communication? The key to developing a clear, sophisticated brand and communication strategy and attitude is knowing the essence of your brand inside out. Experience tells us: Successful brands have good products, extremely successful brands have an attitude. It is essential to display this attitude consistently and across all channels, and to always be ready with a surprise or two. The success of a brand is also a collective effort of everyone in the company, from the management to the front-liners; they should deliver the same brand essence and message in everything they do to ensure that the customer’s experience remains uniform and a positive one all the time. Even interactions on social media say a lot about the way your company does business and likewise has a significant impact on your brand. So, take all these things into consideration and put them into practice, so you can build the brand that fits the vision of your company and the one that will bring home the bacon.